We love scones ! Especially the buttery crusty flaky scones that spread with our favourite spreads from Nutella to butter, kaya, homemade or store bought jams. 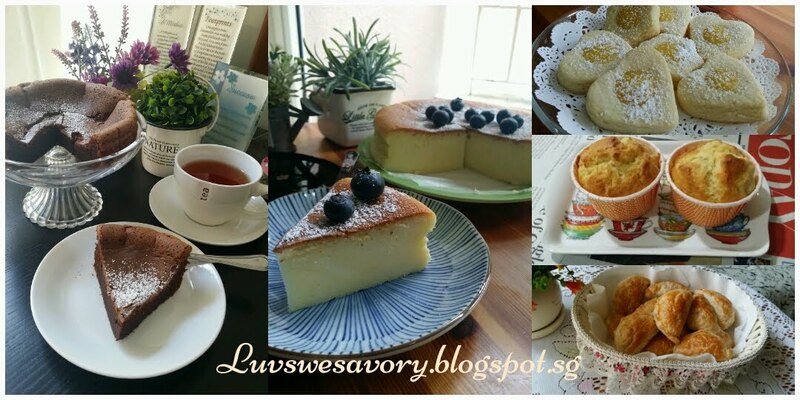 Plain or with added nuts or dried fruits like the previous Lavender walnut scones. Instead of cutting rounds, these quick and easy scones are cut into wedges. 1) Preheat the oven at 220°C, position the rack in the center of the oven. Line baking sheet with parchment paper, set aside. 2) Mix and combine the ground cinnamon and caster sugar in a small bowl, set aside. 3) In a big bowl, combine the flour, caster sugar, baking powder, salt and baking soda. Next, rub the cold butter into the flour with your finger tips, lifting the flour from the bottom up on top, until the mixture looks like coarse breadcrumbs. 4) Stir in the buttermilk with spatula until just combined. Fold in the cranberries. 5) Scatter some flour onto the work surface and tip the dough out. Gently pat the dough a few times to form a 6-inch circle. (*note: The dough should not be overworked as may end up with a hard and doughy scones). Cut the circle into six wedges. Separate wedges and place 1 inch apart on prepared baking sheet. 6) Brush the tops with buttermilk and sprinkle the cinnamon mixture over the tops. 7) Bake for 15-20 minutes or until golden brown. Remove from pan to a wire rack. Serve warm. 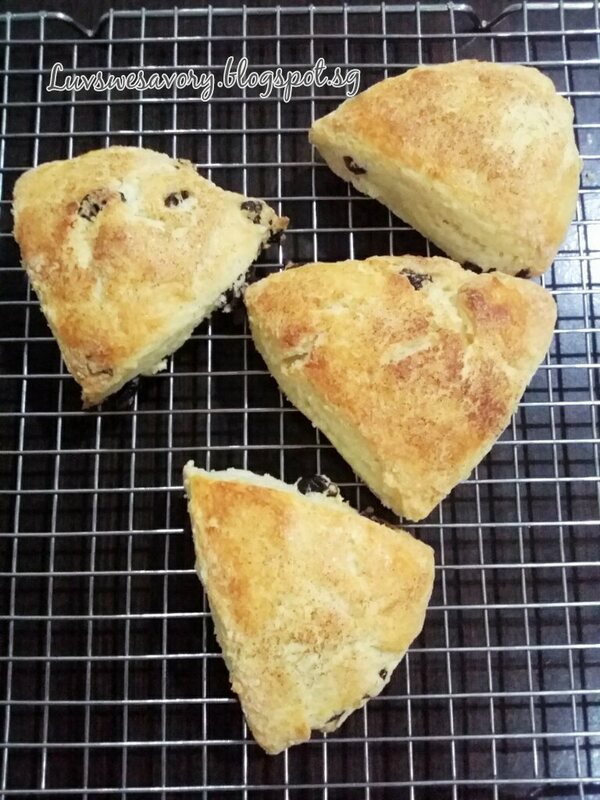 These rather rustic looking scones are perfect for any time snacks. 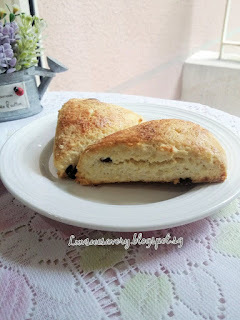 Served these light and crusty yet tangy warm scones for our brekkie! Enjoy ! 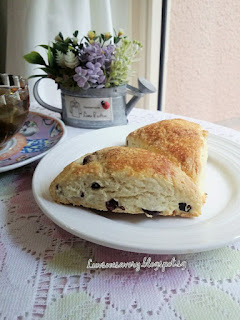 I love the aroma of freshly baked bread and that includes scones. 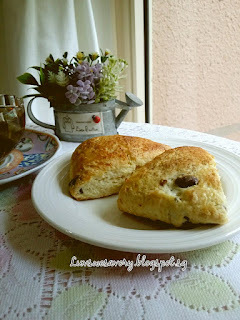 Fresh warm scones with hot coffee or tea will be great for breakfast or snacks time! I like scones too! Buttery, tender and warm, perfect with a cup of tea! There is nothing like fresh delicious scones in the morning or with afternoon tea. 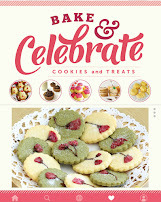 How lucky your family is to have a great baker in the household. These look delicious Karen.